The Legislative Budget and Audit Committee approved $25 million in federal receipt authority for the Alaska Department of Transportation & Public Facilities (DOT&PF) for repairs to earthquake damaged infrastructure. 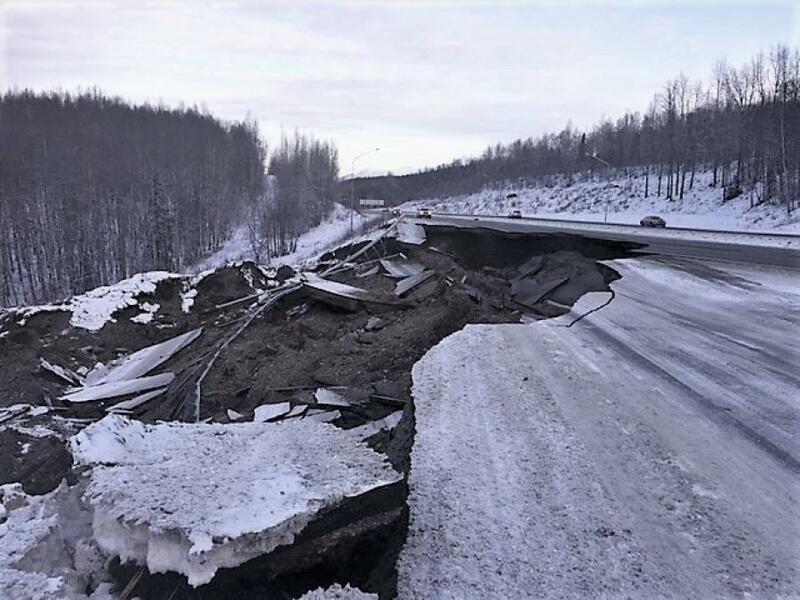 "We appreciate the support of the president and the Federal Highway Administration," said Alaska Gov. Michael J. Dunleavy. "Their quick response enabled Alaska crews and contractors to respond immediately to re-establish essential transportation links, which in turn helped impacted communities. We look forward to continuing to work with the federal government and other entities until our state is fully recovered from the impacts of the quake and subsequent aftershocks." The federal funding will cover emergency repairs required after the Nov. 30, 7.0 earthquake. Because of the volume of work, DOT&PF will rely on local contractors for much of the construction. "The department has identified more than 100 damaged sites on state highways," said DOT&PF Commissioner John MacKinnon. "We're planning on a robust effort this summer for more permanent repairs to the earthquake damage." Because of winter conditions, the emergency repairs completed immediately after the earthquake were particularly difficult and paving and painting was challenging. The emergency repairs were focused on restoring travel, and are not expected to have a 20-year design life which is what the state expects from typical highway construction. The permanent repair work that will take place next summer will take longer to complete than the emergency repairs, but will have a longer design life. Permanent repair work will be federally funded with a state match that is usually just over nine percent.